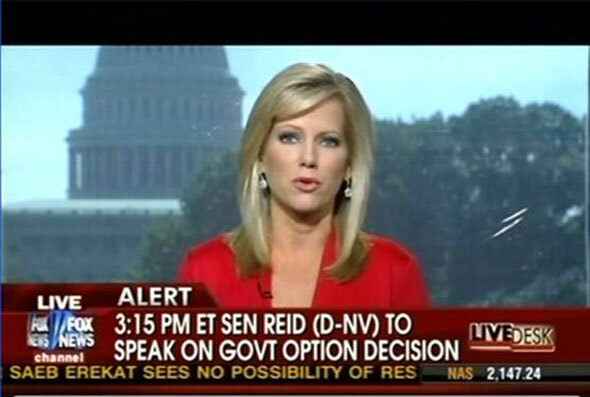 From Megyn Kelly’s program “America Live” on Wednesday… Can you spot the Fox News FAIL? Really, Fox News? There’s just no excuse for this… none. Regarding the so-called “death book” that supposedly encourages veterans to “commit suicide” is under fire from veterans. On August 25, RNC Chairman Michael Steele made this claim on Fox & Friends, which went unchecked and, of course, was not disputed. Now, veterans are demanding an apology from Steel and Fox News for the failure to report the truth and for creating “an atmosphere of mistrust “Let me be absolutely clear, Steele lied. 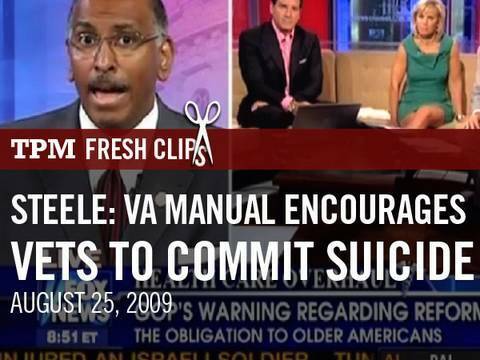 There is no VA manual encouraging veterans to commit suicide,” said Paul Sullivan, the executive director of VCS, a non-profit based in Washington, DC providing advocacy for veterans, especially veterans with mental health conditions. He’s right. This turn toward the extreme right on the part of Fox News is troubling, and will achieve nothing in the long run except further marginalization of the GOP—unless people start behaving like adults instead of angry kids throwing tantrums and ranting about conspiracies and revolution.